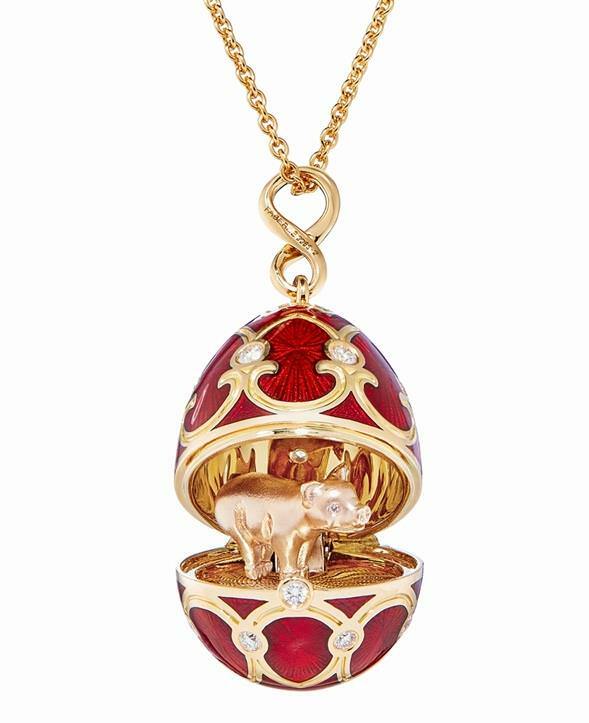 The Gemfields-owned brand updated their classic Palais Tsarkoye Selo egg locket , crafted in 18-karat yellow and rose gold, guilloché red enamel and set with 17 round diamonds, to reveal upon opening a pink enamel pig with diamond eyes. 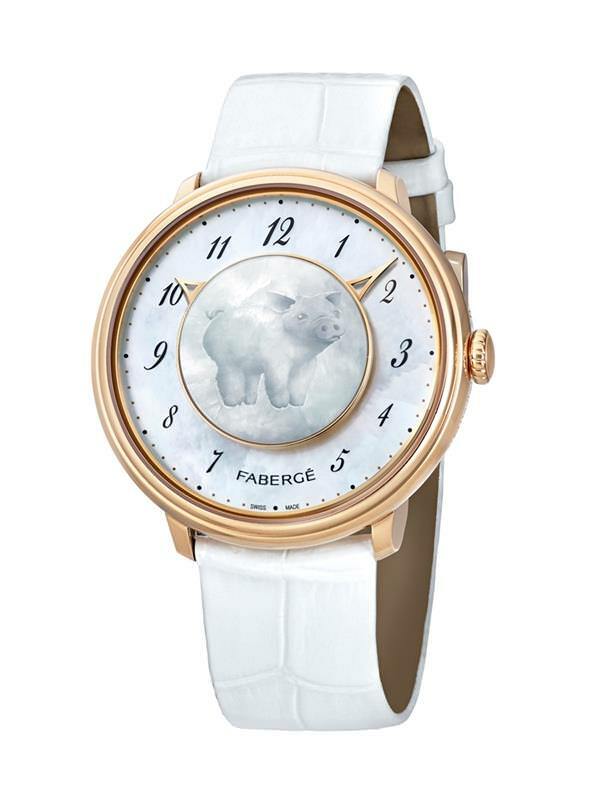 They also crafted a new version of the Lady Levity watch which showcases a platinum pig on a domed bombé sapphire crystal set on a white mother-of-pearl dial. Fabergé said that the timepiece’s unique mechanical movement, developed by Agenhor exclusively for the brand, creates more space for the design where there would typically be watch mechanics. The limited-edition piece only reveals the pig when caught in the light at certain angles.